In the early 1950s, an eleven-year-old boy in Colombo boards a ship bound for England. At mealtimes he is seated at the “cat’s table” - as far from the Captain’s Table as can be - with a ragtag group of “insignificant” adults and two other boys, Cassius and Ramadhin. As the ship makes its way across the Indian Ocean, through the Suez Canal, into the Mediterranean, the boys tumble from one adventure to another, bursting all over the place like freed mercury. In a narrative as beguiling and mysterious as memory itself - shadowed and luminous at once - we follow the story of 14-year-old Nathaniel, and his older sister, Rachel. In 1945, just after World War II, they stay behind in London when their parents move to Singapore, leaving them in the care of a mysterious figure named The Moth. They suspect he might be a criminal, and they grow both more convinced and less concerned as they come to know his eccentric crew of friends: men and women joined by a shared history of unspecified service during the war, all of whom seem, in some way, determined now to protect, and educate (in rather unusual ways) Rachel and Nathaniel. But are they really what and who they claim to be? And what does it mean when the siblings' mother returns after months of silence without their father, explaining nothing, excusing nothing? A dozen years later, Nathaniel begins to uncover all that he didn't know and understand in that time, and it is this journey - through facts, recollection, and imagination - that he narrates in this masterwork from one of the great writers of our time. I am always awed by the prose of Mr Odaatje. This book is an incredible example of his writing style, and perfectly narrated by Steve West. 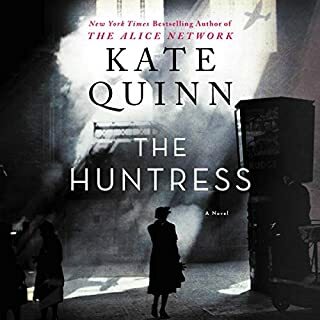 The story is an unwinding tale of wonderful intriguing character connections, with post World War ll as a backdrop. Part mystery, part romance, and an overall seeking of connection. A MUST READ! I wavered between 4 and 5 stars for this beautifully crafted novel. 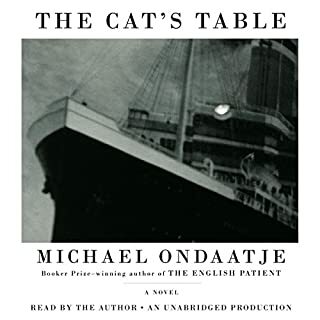 It is my second read of an Ondaatje book, having read The English Patient a few months ago. I like this one much more. 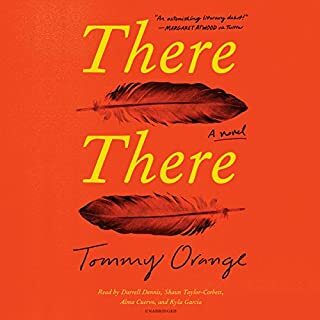 Ondaatje wove together a story with so many elements and characters and it was easy to follow because all of it captured me and held me hostage. I stayed up until 4 am to finish listening. His writing is marvelous. Rich and textured. There are many wonderful reviews covering themes, but I want to focus on one thing that really made me think. As another reviewer said, the book has an interesting discussion of the fluidity of borders. This element of the story was riveting. Fascinating. I learned so much about the limitations of my own childhood education. I was a child of the 1960s and 1970s, raised in the midwest of the United States. I was a child of working class, blue collar parents. I never met a person who wasn't American (and mostly white, western European Americans with no connection to their country of heritage). I never had a teacher who was an immigrant or the child of immigrants. I never met a person with a foreign accent. And when I learned anything about other continents. I saw a map with the borders of the day. Nobody even mentioned that those borders had ever been disputed. Nobody ever discussed the fact that WW2 drastically changed the look of the European map. It wasn't until I was a young adult in the USAF and traveling a great deal that I started to learn how variable borders can be, but even then it was discussed with prejudice. If a border was in dispute there was a right side and a wrong side. And the right side was always the one we were protecting. It was an ethnocentric world. This book examined the notion of borders so well because it showed the reader much of the post-WW2 political game that was played within Europe and its approach to the topic was intriguing and thought-provoking without being judgmental. I loved every single thing about this book. The gorgeous prose. The people inhabiting the story. The pitch perfect narration. I kept slowing down and listening to chapters over just to extend the book and savor every morsel one more time. Perfection. I was probably only an hour into listening to this book before I decided I had to _read_ it, too, so I bought the hardback. Some of the passages were so beautiful I had to savor the words at my own pace. Listening through the middle section, just before the transition to the second half, I did begin to wonder whether the beautiful, but slowing story would pick up. But the events and revelations at the mid-point hit me like a lightning strike and I was riveted from there to the very end. Don't give up. You will be rewarded. I'm going back to listen to that section which I now realize was so important. The world of post-WW2 London (and Europe) is a fascinating era and reading this book sent me to the library for more. Steve West is a wonderful reader and I look forward to hearing him again. 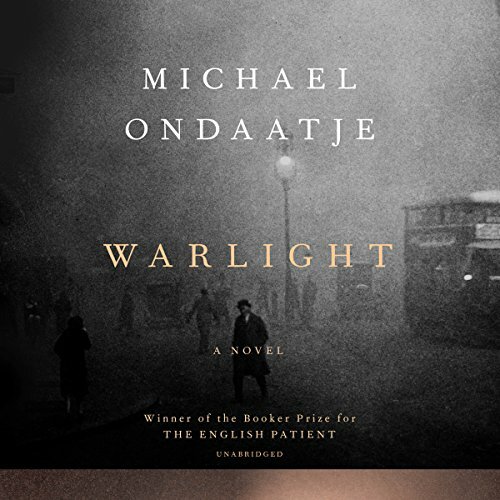 I come away from reading Warlight thrilled, awestruck, pumped, by having experienced it intellectually and emotionally. I was not disappointed as a writer or a reader. This is how fiction writing should aspire; tight writing, authentic dialogue, round believable characters. Nothing is wasted, the story moves purposefully, all the arrows are pointed and move in the same direction. 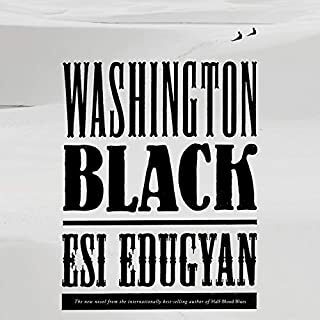 This compelling story is austere and seamless, switching into darkness, the shadows, warlight, and then only slivers of light, with anonymity and aliases, spycraft, working behind enemy lines covertly, and vengeance. In a plot where a young man pulls together information about his mother’s roll in the British intelligence service during and after WWII, and his own life which it affected, we are propelled into a satellite of people, guardians our protagonist did not realize their role the year his mother was away on assignment, this indelible period marking the linchpin of his whole existence when he looks in retrospect. Steve West does a magnificent job as narrator. The story was interesting but it never quite pulled me in or became exciting. 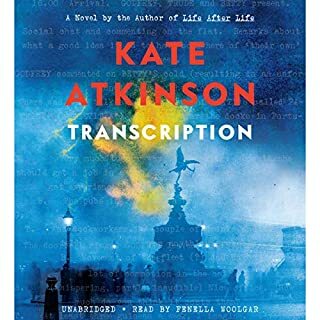 This was partly due to the organization — the timeline jumps around a bit which was sometimes difficult to follow in an audio book — but I think mostly due to the narration style. The narrator‘s voice is well-modulated and easy to listen to, but conveys all the excitement of a commentator for a televised golf tournament. The voice doesn’t communicate anything of the emotions of the characters or of an observer, nor does it tell the listener anything about what’s important and what’s not. That said, the story did have me curious enough to finish the book even though I was aware of the limitations well before the halfway point. 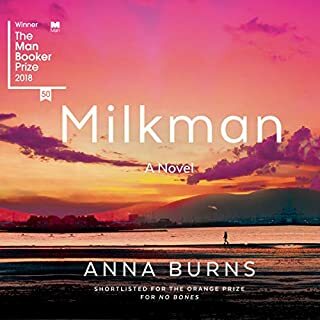 I suspect that this book would be fine reading it normally, but as an audiobook, it's incredibly difficult to engage with the story and want to keep listening. The narrator does a very good job, but the nature of the prose is working heavily against him. Slow in parts but the unsaid or unwritten parts of the story are as important as the ‘ink’; giving texturized emotion to the characters and the times- quite wonderful. Complicated, beautifully written, and engaging. The narration was excellent. I want to listen to it again. I have heard nothing like it before. Highly recommended.